3 Rupert Neve Designs 5088 consoles in 1 year! :: Juke Box Limited :: If you only want the best! If you only want the best! Did you know we sold 3 RND 5088 consoles over the last 12 months? Here are some photos of our last install. A very unique install in a very special place. More news to follow. What can we do for you? 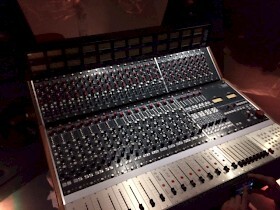 3 Rupert Neve Designs 5088 consoles in 1 year!